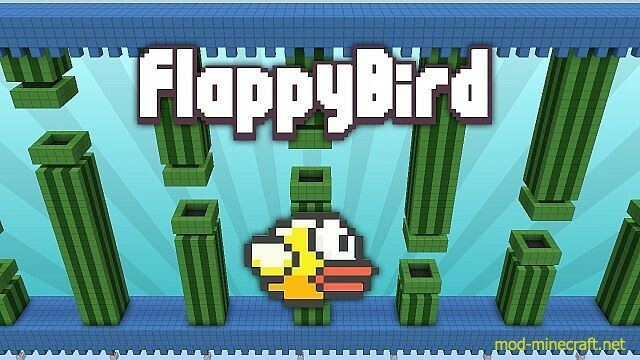 The unexplainable popular mobile game, flappy bird, recreated in minecraft. Game play is slightly different. Instead of tapping a screen you can tap your jump key until it breaks.